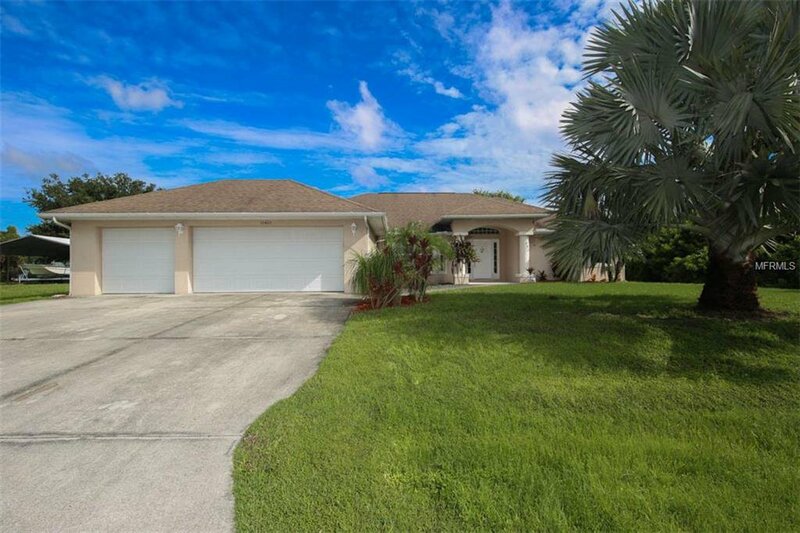 MOVE-IN READY, custom built 3 Bed/ 2.5 Bath POOL home on a DOUBLE Lot with a 3 CAR garage. The Malibu Model, built in 2005 by Premier Homes, has a flexible floor plan that incorporates many desired design features with an open concept and split bedroom floor plan. The master bedroom has double walk-in closets, large sliding glass doors which open up to the lanai giving access to the pool area and it’s private wooded view. The master bathroom is oversized and has a walk-in shower, a large sunken garden tub and double sinks vanities. Updated kitchen with corian countertops, new refrigerator and a large breakfast bar. The great room is perfect for entertaining with sliding glass doors that open up to a beautiful lanai/ pool area. Located on a quiet street in a Non-deed restricted community - NO HOA fees. Listing courtesy of EXIT KING REALTY. Selling Office: MICHAEL SAUNDERS & COMPANY.